The Eagle Ford Shale rig count fell this week to 111 rigs running across our coverage area by midday Thursday. In recent Eagle Ford news, researchers from the University of Austin released a new report that shows water usage in the Eagle Ford has expanded exponentially over the last five years thanks to fracking. The U.S. rig count decreased by six, ending with 857 rigs running by midday Friday. A total of 218 rigs were targeting natural gas (one more than the previous week) and 638 were targeting oil in the U.S. (seven less than the previous week). The remainder were drilling service wells (e.g. disposal wells, injection wells, etc. )366 of the rigs active in the U.S. were running in Texas. Natural gas rigs in the Eagle Ford remained at 25 this week and natural gas prices traded at $2.88/mmbtu, an $.11 increase from the previous week. 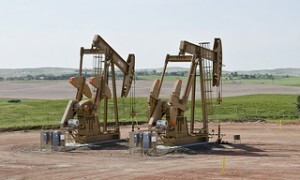 The oil rig count fell by four to 86 as WTI oil prices dropped to $50.85, a decrease of $1.89. A total of 101 rigs are drilling horizontal wells, zero are drilling directional wells, and 10 are vertical rigs. Karnes continues to lead development this week running 19 rigs, with DeWitt (15) and Webb (15) following closely. See the full list below in the Eagle Ford Shale Drilling by County below.